Controversial super change scrapped: but other proposals need to be watched. 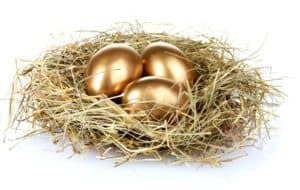 At the time of writing, the new Parliament released the first batch of proposed changes to the superannuation regime, and among these was the announcement that the proposed $500,000 lifetime non-concessional cap is to be scrapped. Trustees required to finalise contracts that depended on large non-concessional contributions can be at ease now, as the caps and rules regarding non-concessional contributions will operate as is currently the case. The same applies to trustees who are required to restructure their limited recourse borrowing arrangements (LRBAs) in order to comply with the ATO’s benchmark terms. …was attributable to employment or similar activities of the individual in the financial year in which a deduction for the personal contribution is sought. Please contact Taxwise on 08 9248 8124 if you have more questions regarding these proposed changes, and also about further reforms expected in the SMSF arena. ← Travel to a workplace: What’s in … What’s out?